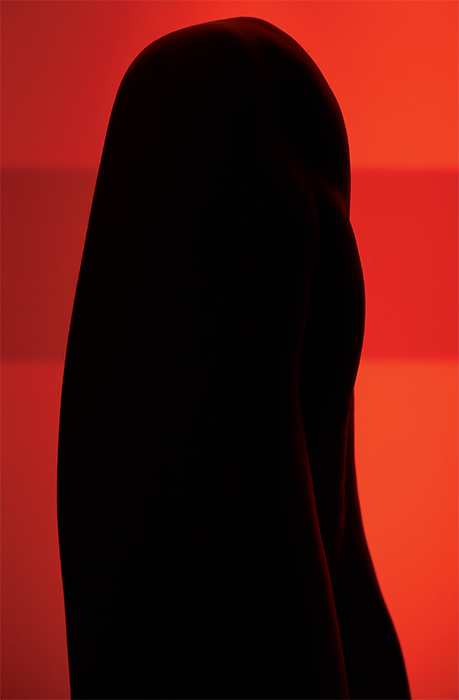 Viviane Sassen, Red Leg Totem, 2014, digital C-print, 23 5/8 × 15 3/4". From the series “Umbra,” 2014. AROUND THE EARLY 1990s, there was a major shift in how the boundaries between art and fashion were negotiated. While these two fields have never been strangers, now there was a new intimacy between them. 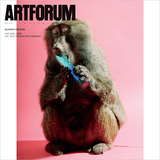 More and more artists and editors, photographers and designers, began to explore the possibilities opened up by the blurring of distinctions. Underground magazines like Purple were great examples of this new hybridity. So were fashion labels like Martin Margiela and Comme des Garçons. But then, after 9/11, everything became much safer and more commercialand stayed that way. These days, creativity is often greatly diluted by commercethe pressure of profit margins, the lack of time, the hunger for more and more content. Because most brands have a global market, and since budgets got much tighter after the recession, there is a need for generic and safe advertising campaigns that can be used in every market, whether it’s the UAE or East Asia. That’s one of the reasons why we still don’t see much cultural diversity in those campaigns; the Western stereotype still sells the best, and, sadly, in many markets a black model is still a no-go. Navigating all of these social, political, and commercial issues is hard. I graduated from the MFA program of the Royal Academy in the Netherlands in 1997 and began my career in the pre-9/11 environment. I was interested in new ways of telling stories with photography, and I became involved in a number of underground zines, like Re-Magazine. I also started working for Purple and other independent publications (i-D, Dazed & Confused, Self Service) that provided a platform for both my personal work and my fashion photography. So to me these two types of images have never been opposedthey exist on a spectrum. I see my practice as a large color fan. On the far left you have the commercial jobs that pay very well but permit relatively little creativity. I often find this kind of commercial photography too constraining, but I do like to solve puzzles for a client. It’s a real challenge to make an image work on so many different levels: aesthetically, as a conduit of the client’s message or sensibility, etc. That is a creative process in itself. It’s also interesting to engage with large crews of professional and talented people. And let’s face it, it pays the bills. I’ve always funded my personal projects with the money I earn from commercial photography. This enables me to create my art with fewer concerns about the market, sales, expectations, my status in the art world. And that freedom, in turn, allows me to take time to contemplate, to take risks, and to fail. Adjacent to this type of job on the color fan are the commercial clients who give you a great deal of creative freedom. These are precious to me because they understand and respect me as an artist. It takes courage to be a client like that, and I cherish them. Then, toward the middle of the fan, there is the wide and willowy world of editorial. If you’re not paying close attention, an editorial assignment can be a painful exercise. It comes down to finding the right people to work with and creating the right energy. The bigger magazines usually have larger budgets, which is an advantage, but they tend to be more commercial and less interested in inventiveness. Magazines depend on advertising, so they will demand that you use their advertisers’ collections in the editorials. The power that these advertisers have to influence the content of the magazines can be enormous, and often impinges on the creative process. Having to shoot an item that doesn’t fit the concept of your story, or that you simply find ugly, can be demotivating. There are strange forces at work in the world of fashion. Much depends on politics, egos, goodwill, money, timing, and, not least, talent and imagination (so there are a lot of similarities with the art world). But shooting an editorial can also be an inspiring experience, a joyful collaboration between creative minds. I feel comfortable working in this part of the fan, since it’s a space in which I can experiment without being pigeonholedI’m not expected to repeat myself. I’m still solving puzzles for the client, but I’m also exploring new possibilities and directions. Then, moving toward the right side of the fan, there is the occasional assignment for a cultural institution where I am given just a few parameters, like a theme you have to work with. I don’t mind such general directives, because they push me creatively instead of hemming me in, and there is usually a budget to produce new work. Bringing my series of photographs together to make a book, which is a passion of mine, also falls into this section. Here, too, there are constraintsin this case, formal onesbut they are minimal and generate possibilities rather than foreclose them. On the far right of the color fan, there is my practice of photography in the tradition of fine arta very personal and solitary process. This is what I love the most, the work that is closest to my heart. If I had to choose, there wouldn’t be even a moment of doubt. But I don’t have to chooseI can simply enjoy the flow between the different aspects of my work, and the freedom that comes with this fluidity. I appreciate the diversity of all the parts of the color fan, the swiftness and spontaneity of fashion photography as well as the more sensitive, quiet, and protracted process of making art, the collaborations with all those people, the places I visit, the difficulties and often-weird contradictions that come with each type of work. Even though I have received a lot of affirmation in the fields of fine art and fashion photography, I still find it hard to balance the two at times. Ideally, the dynamic between them is complementary; not only do they feed on each other in terms of both creativity and finance, but they also feel almost like two sides of my personality. Fashion photography is the extroverted, playful side, while fine art is the introverted, thoughtful side. I think that there continues to be a prejudice against artists who also work in the commercial-photography sphere. But I feel that this has begun to change; more and more people seem to recognize that the two can and do coexist. I meet a lot of young people who tell me that my practice of combining the fields is a great example to them. It’s not easy, though. And you have to walk a fine line. While I strongly believe that there can and should be creative exchange between art and fashion, that doesn’t mean I think we should abolish the distinction between the two altogether. I find it problematic to see fashion photography in the museum context, pretending to be art when it’s not. In fact, it’s very simple: Fashion photographs are fashion photographs, not fine art. Their raison d’être lies in the context of the fashion world, of popular culture and media. When I do show my fashion photography in museums or galleries, I avoid the classic ways of displaying photography as framed prints. Instead, I make large, fluid installations, using beamers, mirrors, and sound to bring movement and other dimensions to my still images. Of course, many artists who use photography are rejecting framed prints for the opposite reason. I do it to distinguish my fashion work from my artwork; they do it, I sometimes think, to make their photography seem more like art. The proliferation of sculptural or installation-based work in which the photograph becomes three-dimensional implies an urge to make “real objects” as opposed to simple, regular prints. This direction makes sense, insofar as art photography is trying to distinguish itself from the perpetual tsunami of immaterial online images. But it can feel contrived. There’s a case to be made that art has become more democratic in recent years, not in terms of its price, but in terms of accessibility. You have to wonder: Has the photographic image become so democratic that it has lost its appeal as a work of art? And if so, can that problem be solved, or even addressed, by the creation of unique photo-objects or, conversely, by self-reflexive investigations of the dematerialization of photography? I doubt it, but I’m actually not sure it’s productive to get caught up in such questions. To me the image, whether a print or an installation or a jpeg, is at the service of a way of looking at the world and at ourselves. Viviane Sassen is an artist and photographer based in Amsterdam.